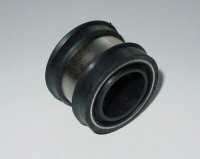 EAS3-05 Tube seal installs in the outer tube at the C on front axles. Prevents water, sand and other debre from entering the axle tube and damaging the inner seal at the differential causing leakage. EAS3-05 fits axle tubes with an inner diameter of 2" and axle shafts 1 3/16" to 1 3/8" 28 to 30 spline axles.